Soybean yields for 2013 were good, a testimony to the resilience of the state’s top row crop. Heavy precipitation and isolated flooding in spring delayed planting. Then the spigot dried up during crucial growth periods. Soybeans were originally grown as a forage crop, but began to be a popular row crop in the 1940s. 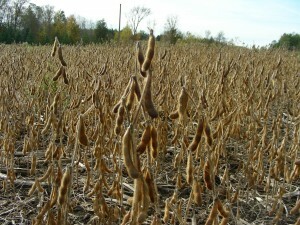 In Missouri, the five-year average yield of beans through 2010 was 37.8 bushels per acre at an average price of $11.61. The lowest yield was in 1936, when only five bushels per acre were harvested.